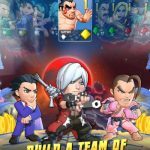 Street Fighter Puzzle Spirits is currently an iOS-only game, and it comes to us from Capcom, which is the company behind the Street Fighter franchise. 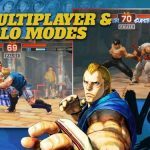 Capcom describes this title as a fun to collect, action puzzle game, but unlike the Street Fighter games you may have played on consoles or on an arcade game system, you shouldn’t expect the same meticulous amount of detail – this is, after all, a mobile game. Instead, you get four iconic, yet basic characters (Ryu, Ken, Chun-Li, and Sakura) with a “new and cute touch,” who can throw punches, kicks, and special moves through the puzzles you solve. Don’t get us wrong – there’s a lot of strategy involved here, even if one of the main mechanics here is based on Match 3 puzzle gaming. There are TCG mechanics in here as well, and that all makes for a very interesting new twist on the Street Fighter franchise. 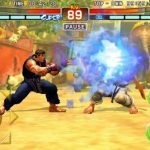 Because this is a different take on Street Fighter, there’s a lot to learn in this game for newbies, even those who have grown up playing the arcade and/or console titles. 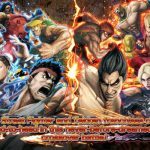 So join us as we bring you our list of Street Fighter Puzzle Spirits tips, tricks and strategies, which covers everything you need to learn about this game as a newbie. At the end of the day, the most important thing you should be doing in this game is stringing combos together. You want to unlock combo mode as often as possible, first of all because you will usually be able to play one of your cards right after. Those cards, once played, won’t deal out a lot of damage at first, but they can allow you to change your character’s color. This is important, as changing color could mitigate the damage an opponent would normally be dealing out on you. In addition, stringing together combos is, of course, the best way to take away a lot of HPs from your opponent. By stringing a long chain of matches together, you can greatly reduce an enemy’s health bar, and with that in mind, tougher opponents would need more combos on your end in order for you to take them out. And as a bonus tip, combos do not count against your move counter; in other words, they’re like free moves, albeit more powerful than the moves that would actually be included in your counter. Now if you aren’t in combo mode, the good thing about that is that you don’t need to worry about time limits. Use that time to think of the moves you should be making, particularly the ones that allow you to unlock combo mode yet again. Specifically, it’s the moves that create rainbow spirits that you should be taking into account and planning for. It’s important as well that you learn the attacks that your opponent is planning, so you can make the right preparations ahead of time. It’s not enough that you take note of the color they are using, but also the potential effect that your board will be receiving as a result of the attack. The last thing you want is for the rainbow spirits you created and put in the right place to get knocked out of whack when your opponent catches you by surprise with an unusually effective move. You should always keep in mind that the spirit you tap on will be leveled up once you’re able to clear everything out. So if you’re clearing pieces vertically, the spirit that will show up at the end will be moved to the bottom of the line. Also make good use of the corners so you can keep spirits right where they are. You can do a great deal with the cards you gather throughout the course of the game. Use those cards and add to your deck so you can have no shortage of options on both offense and defense, and make your cards more powerful by joining them together. Take note that this is a trading card game as well as it is a puzzle game, so yohu want to collect as many cards as possible. Lastly, you should take full advantage of the social features of Street Fighter: Puzzle Spirits. You can add friends for assistance, and if you add them after using their characters in battle, you will both be getting bonuses should your friend request be accepted. But you should also do your share of thinking and analysis before adding a friend; consider your potential friend’s attack damage, and the color corresponding to their attack. If that player complements what you have by patching up your weaknesses, then by all means, you should be adding them as a friend. And this wraps up our guide for Street Fighter Puzzle Spirits. Do you know other tips and tricks for the game? Let us know below in the comment section!